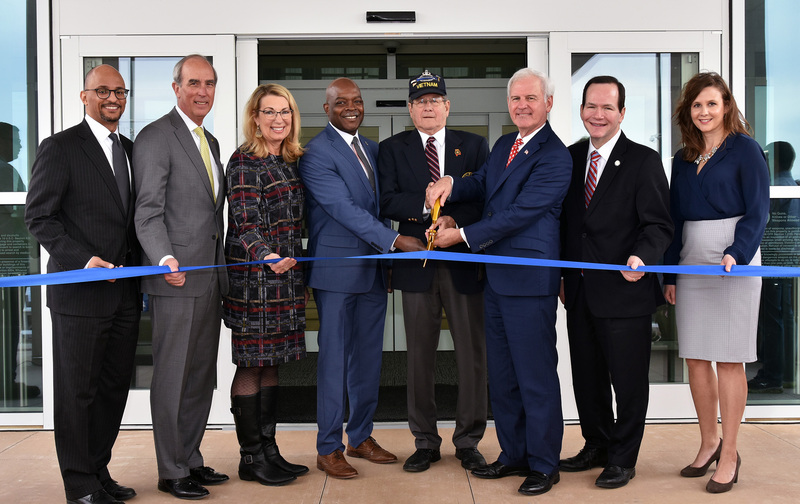 A ribbon cutting ceremony for Mobile’s new VA outpatient medical clinic was held on Monday, March 18. Hundreds of Veterans and their family members joined employees and other members of the community to celebrate the occasion. Congressman Bradley Byrne joined Gulf Coast Veterans Health Care System Director Bryan Matthews and others to formally open the clinic. Veterans will begin using the new clinic on Monday, March 25. The new clinic is located at 4444 Demetropolis Road, Mobile, Alabama. The clinic is a 65,000 square foot clinic, which is 20,000 square feet larger than its previous location . It will offer: primary care, women’s health, behavioral health, audiology, home-based primary care, neurology, podiatry, optometry, orthopedics and telehealth. 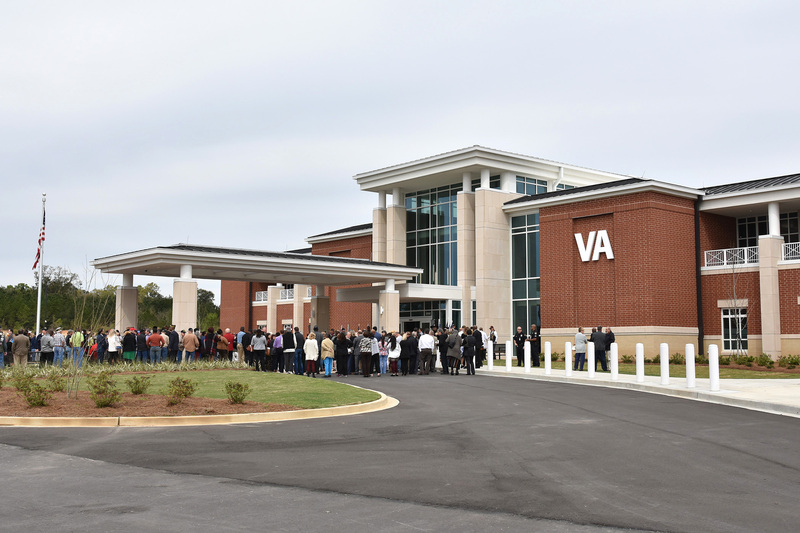 The new VA clinic replaces the clinic located on Spring Hill Avenue. The new Mobile Community Based Outpatient Clinic is located at 4444 Demetropolis Road, Mobile, Alabama. Great to see the progress of the VA getting closer to our communities. As a disabled Vietnam Vet living in Myrtle Beach SC, th e anticipated new clinic scheduled for groundbreaking this year has not been locally shared in the news or by VA. In any case we live in this great veteran community (for the most part) and not needing to do a four hour round trip to Ralph Johnson VA in Charleston will allow us to continue service earned care. The last thing myself and veterans that responded to our country’s call to duty is to be dumped onto Tricare or Medicaid. War and conflicts, noble or not, if America is willing to ask for that sacrifice of life & limb………keep your WORD! I would like to see a list of all the services of this facility and phone numbers for each. I currently travel to Pensacola for my care, but the travel time is fairly long. This is ausome for the Veterans. They and my husband deserve it. Army / Viet-Nam Veteran Saraland, Al. These VA’s I have been to are First class, Mobile, AL, Biloxi, Miss., Iowa, City. A 10 rating with out a problem across the board! First class, Mobile, AL, Biloxi, Miss., Iowa, City. 10 with out a problem across the board!